I have been kept busy with pain management, wedding preparations, and even some renovation talks (will be moving out after my wedding)...whatever little useful time I had left was devoted to fulfilling the final custom request accepted in 2014. I hope to finish that by June before things go into full swing, but ack, need to earn some $ to tide me over, so I wanted to list some more 1:3 items and hopefully get some sales.... -_-"
Being in a lot of pain most of the day means I'm miserable a lot of the time, means I need to find ways to keep happy, and making stuff for my dolls keeps me happy. So I make stuff. Better, cheaper, and faster than therapy. With 1:3 scale, things are....woah. really large. especially when I'm used to 1:12 and smaller. I had to find ways to reduce the weight of the props as well. I will list materials I used and where I got them at the end of the post, as most of you know I don't tend to nurture my social media very well, sorry :( Hurts to sit at the computer and my fat fingers make it difficult to type on my teeny smart phone. 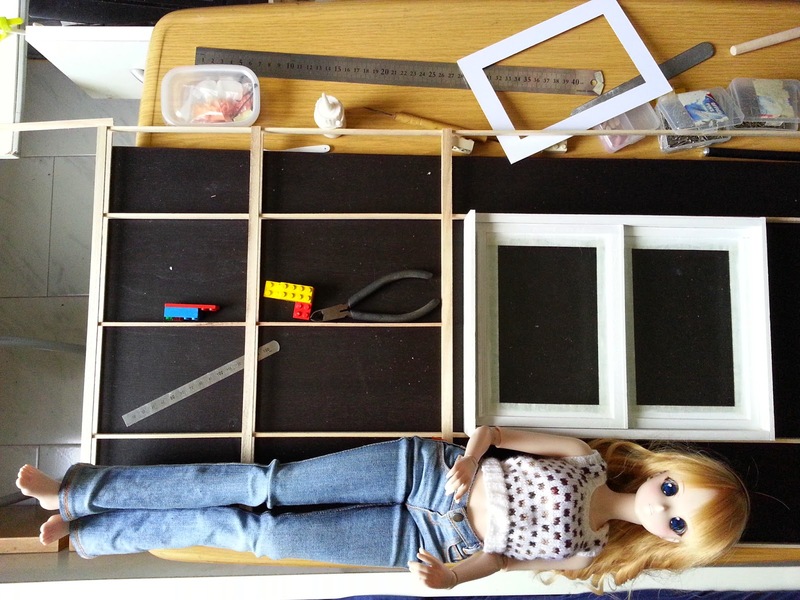 As always, I didn't draw up any plans, just measured the IKEA shelf that was supposed to be Kizuna's home so it would fit. I want to also make it light and portable so I can move it to my window for photoshoots. Ah anyway. 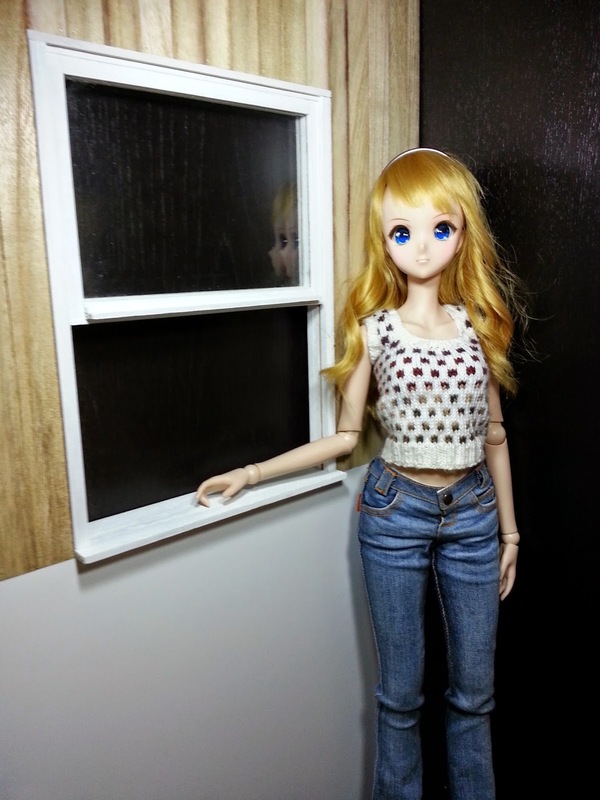 This was a test shot to see how well she stood against the window, or if I needed to add more width/height. Please excuse the really messy background. 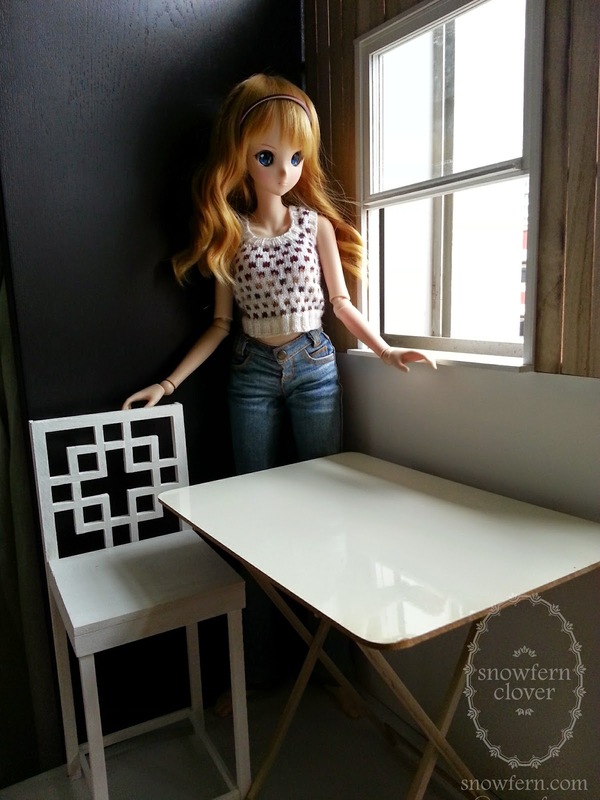 I took this shot to show off the chair to Asuka, she didn't even notice the chair and thought I was bragging about the knitted top XD which yeah, I did, about 3 mths ago!!! 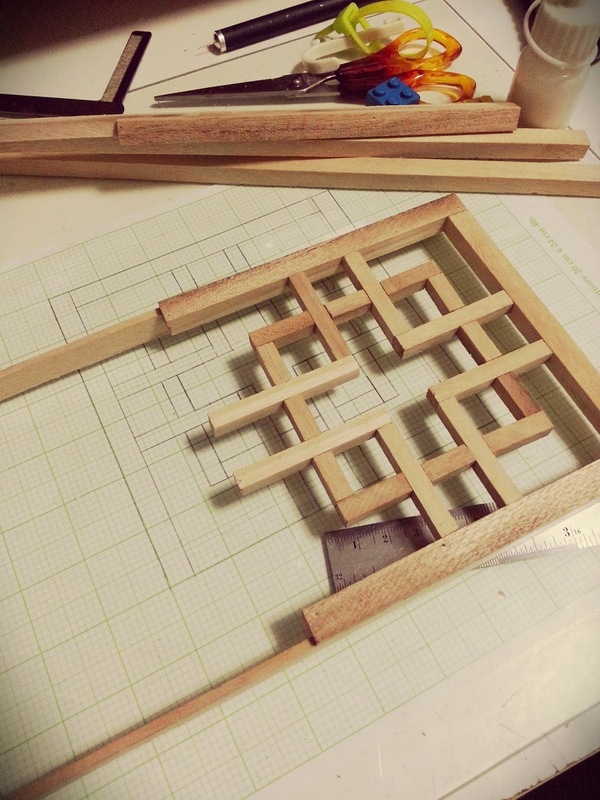 I first discovered http://ana-white.com/ a few years back when I was randomly surfing late at night for prop ideas pre-event (forget which one) on my phone, but never quite found the time to work on scaling down the plans. 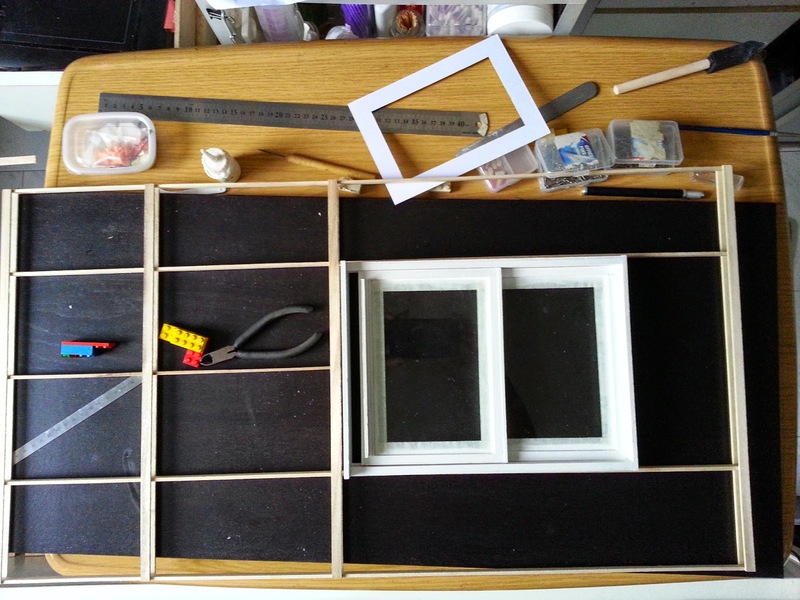 The site is chock full of relatively easy plans which I find easily adapted into miniature, especially 1:3 or 1:4! Was tempted to use inkscape to scale it down to fit whatever random wooden strips I had stashed away, but the site uses imperial measurements, so I gave up on doing all the crazy math and just re-drew everything on graph paper, the old fashioned way. Works better with my doll anyway. 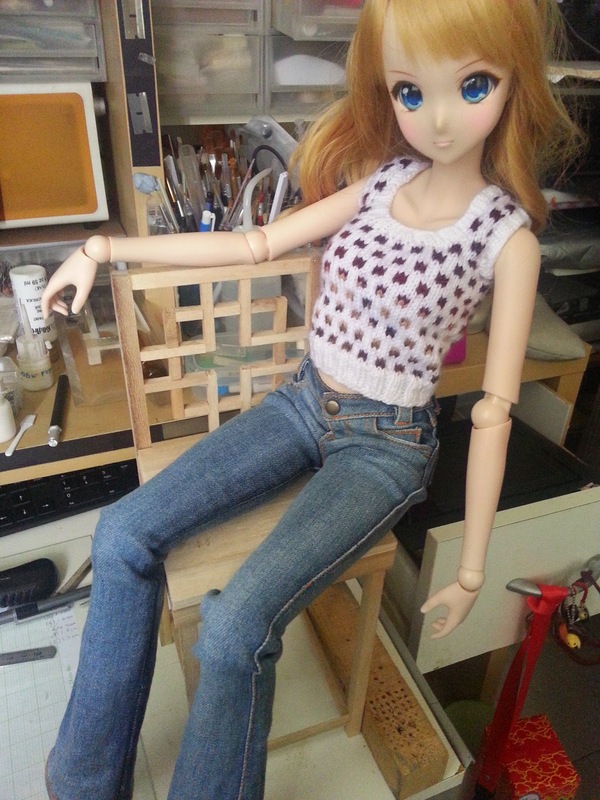 All I know was, I needed it much taller than the plans specified, as Kizuna is a very leggy woman kekeke. 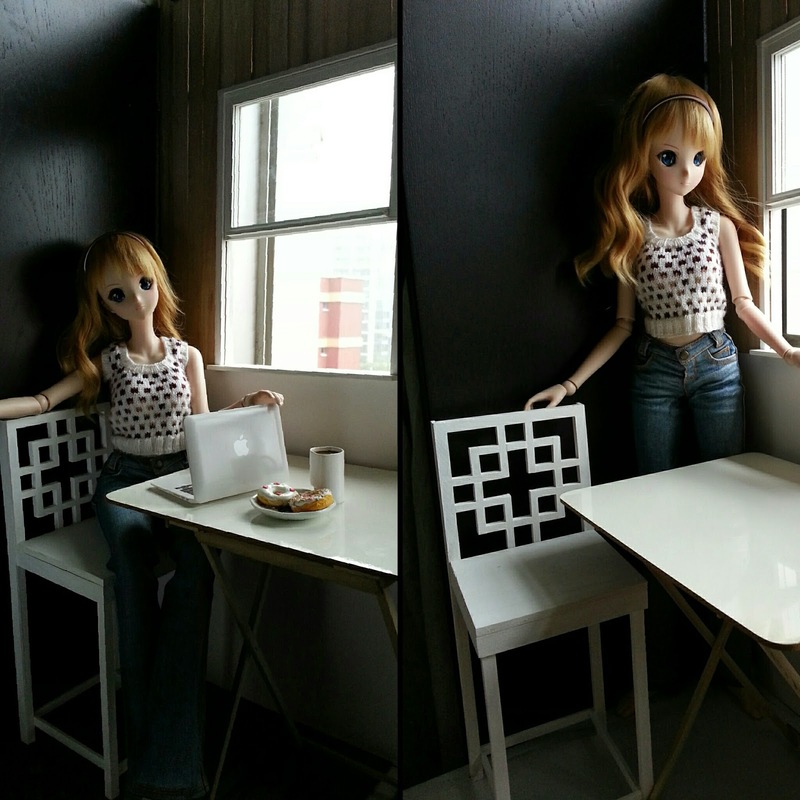 I think the legs were about 19cm, all I know is the seat had to be about 20cm off the ground so she can sit with proper posture (HAHA) since her legs can't be tucked in at angles less than 90 degrees. Tabletop was an old whiteboard thingy. 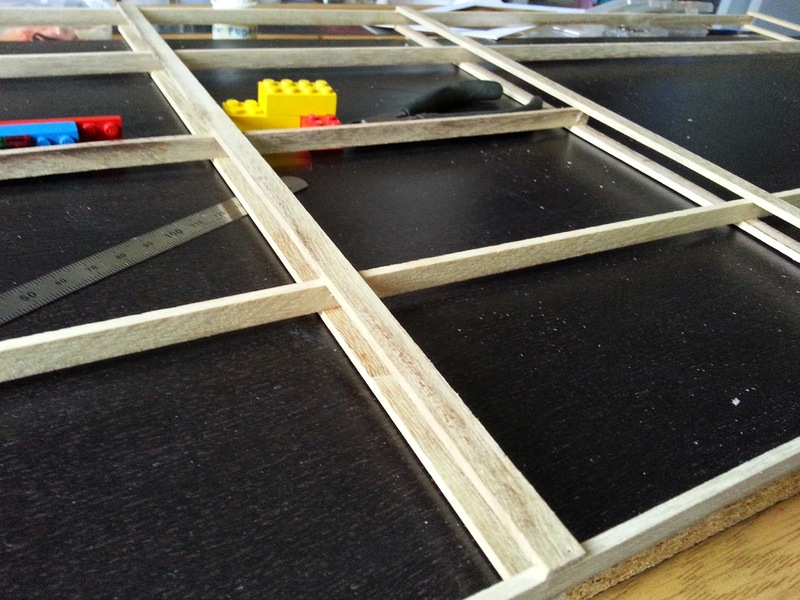 Warped, so I reinforced and flattened it with wood strips too. Then just after I dug out some old props, it started to rain and my photos turned out quite grey. bah. good excuse to go lie down after the 4 days of working on these few props. Window glass: IKEA RIBBA photo frame glass 5"x 7"
Thanks for commenting! I read every single one, and appreciate them! 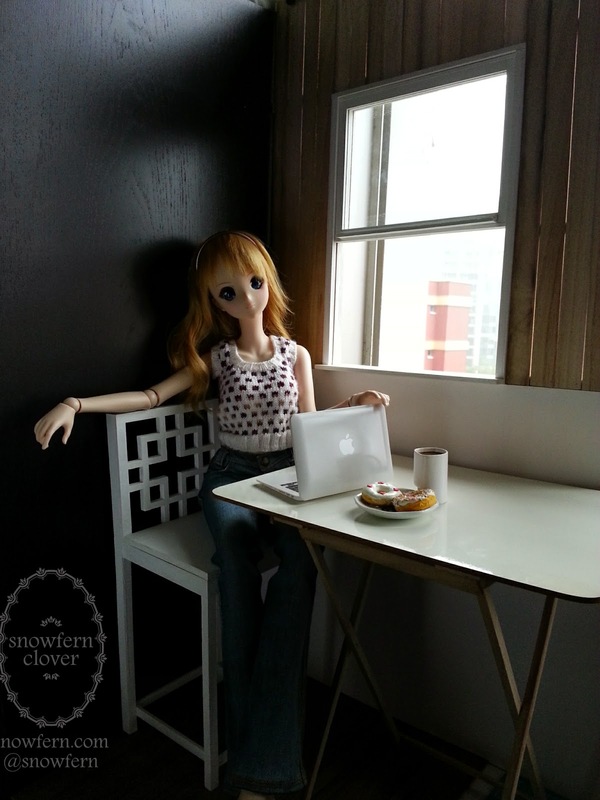 DIY Macro Ringlight - Test shots on my dolls! All images, ideas, designs and content © 2013 Cindy Teh. All rights reserved.. Ethereal theme. Powered by Blogger.